It’s no secret that Omaha loves its food trucks. From Thai and Mexican to BBQ and Cajun, we have a little bit of everything when your next craving strikes! In fact, Omaha Food Truck Association has made Food Truck Thursday a weekly extravaganza in the community, and we appreciate it. We’ve even been forgetting our lunches on purpose, just so we can get a taste of what this town has to offer. Whether you’re in the mood for Italian, Cajun, or anything in between, there are so many food trucks to choose from in the Omaha area, but there are some that stand apart from the rest. 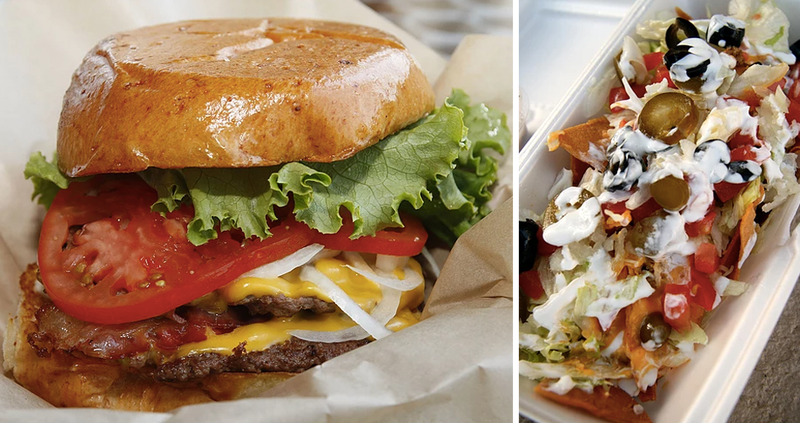 Out of all the mobile restaurants in Omaha, there are a few we just can’t get enough of. 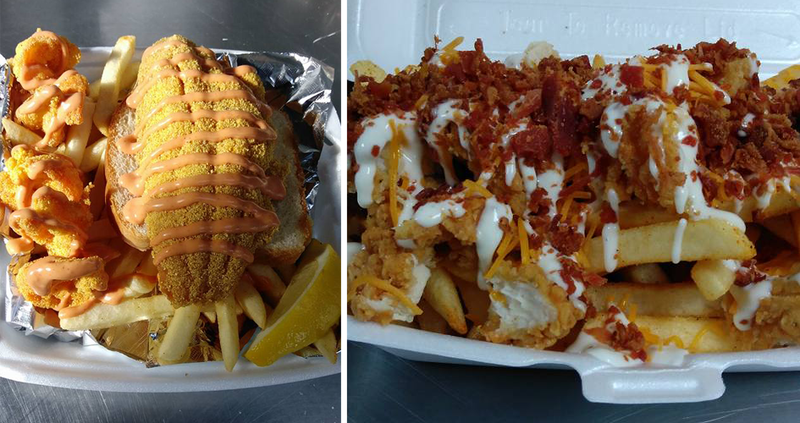 If authentic Cajun and Creole food is your jam, keep an eye out for this Omaha food truck. From fried catfish and beignets to shrimp po boys and Cajun fries — we can’t get enough! Stop by for a taste and you’ll feel the same way. For classic, mouth-watering BBQ, The 402 is our go-to. Their menu is loaded with comfort food classics — including their famous brisket and burnt ends. Get an order of both and you’ll be just as obsessed as we are! Nearly everything is locally sourced, slow smoked, smothered in one-of-a-kind Big Red Sauce, and served with fresh Rotella’s bread. If you thought you wouldn’t be able to find authentic English cuisine in Omaha, you were wrong. 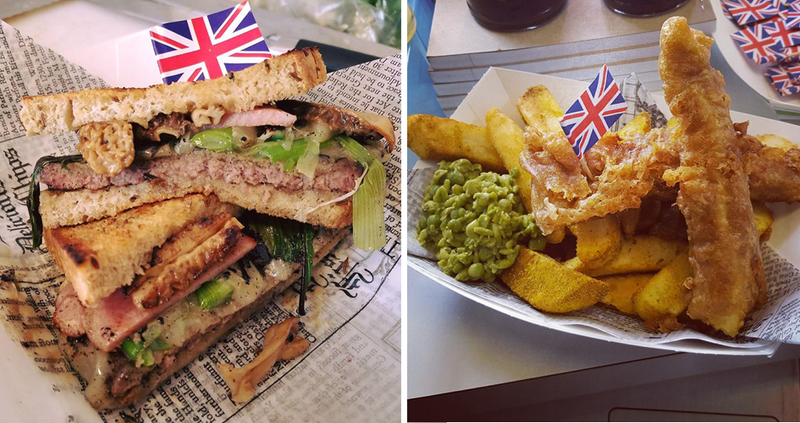 fish and chips, bangers and mash, sarnie, butty and homemade seasoned chips — they have it all. It’s a pub on-the-go and we are on board! There’s nothing better than Thai food to satisfy a craving. It’s sweet, salty, spicy and everything in between. But it’s even better when it’s served street-style from one of Omaha’s best food trucks! Sweet Lime Thai offers traditional pad thai and egg rolls alongside mouth-watering drunken noodles and even Thai shrimp chips. A duo of passionate cooks works together to provide some of the tastiest food in the area inside the Mosaic Pickle food truck. Their cuisine is inspired by plates found all around the world, providing some of the best and biggest flavors. Choose from the five-item menu that rotates daily, where you’ll find items ranging from a burger to a curry chicken wrap. Pizza is a classic dish, but when you order a slice from the window of one of Omaha’s best food trucks, it tastes even better. Though the pizzeria has been operating since 1953, the food truck has only been available since 2014. 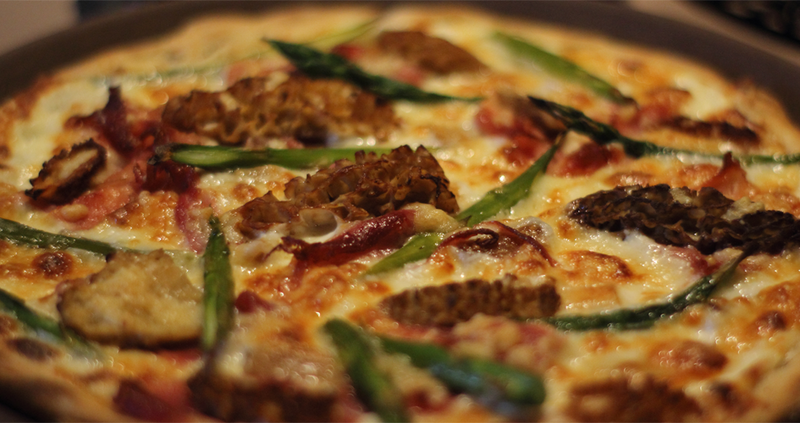 You’ll find pizza-by-the-slice, meatball sandwiches, onion rings, toasted ravioli and more! Owner Branden Ciciulla has been making pizzas for nearly 20 years and worked in the restaurant industry for over ten before starting up his own food truck in 2014. Every recipe from Hawk’s is an original creation from Branden himself. And to top it all off, every fresh pie is made with a spent beer grain crust with spent grains from Infusion Brewing Co. The team at Big Green Q call their food “contemporary BBQ”, but that descriptor does not do this food justice! 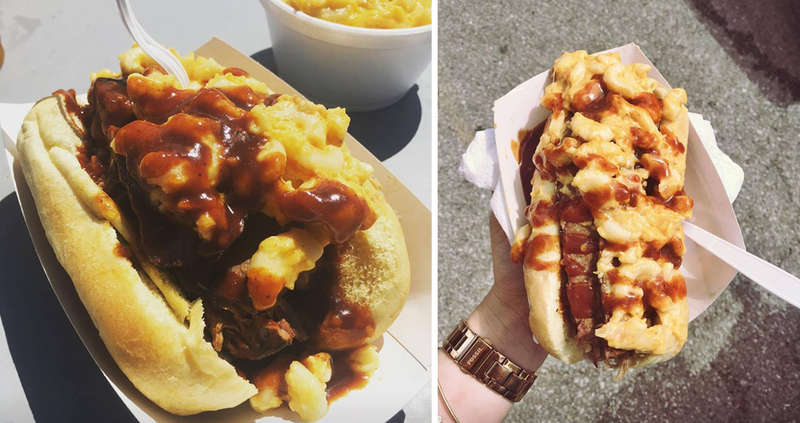 Alongside pulled pork and brisket, they serve up drunken black beans, homemade white cheddar mac, seasoned honey potatoes, old-fashioned German potato salad and homemade sauces. 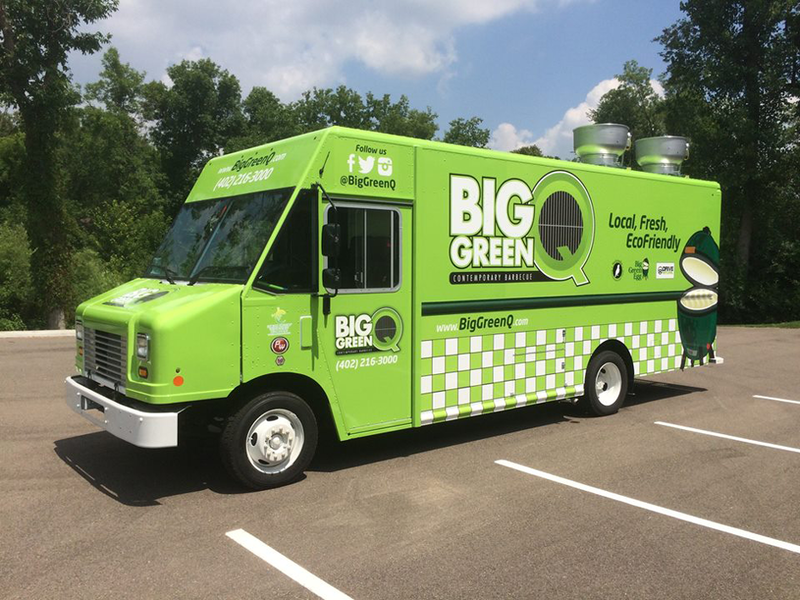 Inside their eco-friendly truck, they use Wagyu beef, antibiotic and hormone-free chicken, pork, and locally sourced fresh produce whenever they can. Where will you be spending #FoodTruckThursday?